NEET is the only medical entrance exam for admission in the undergraduate courses of MBBS and BDS in any government or private medical colleges of India. This is one of the toughest medical entrance exam on an all India level. The exam is taken by around 10 lakhs candidates every year. 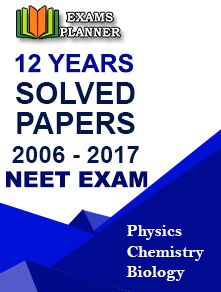 Around 11 lakhs candidates appeared for the NEET 2017 exam. As per the directions of the apex court the exam has been conducted in 10 languages to ensure parity across among different linguistic sections of the country. A candidate who is aspiring for the NEET 2018 Exam shouldstart their preparation now. It is good time to begin one’s preparation as with ample time in hand one can clear his doubts and build his concepts in a strong way. Remember until the goal is not reached one should not rest and squander time. Sometime it happens that a student has prepared well but fail to perform well in the exam. It is not enough to only prepare well for the exam rather performing well in the exam is the real thing to do. Usually student fail to see the difference between the two. Here below we are giving some tips to sharpen one’s edge of their preparation so that a good performance can be exhibited during the exam.Below are given some performance tips for the exam. Keep Syllabus and Question paper both – It usually happens that a student undertake to prepare first over a topic and then see the questions over the topic and solve it. It is not a good strategy, rather a student should first of all read the questions over any topic to understand the level of its depth. This will guide students about the level of depth of their preparation. Identify cluster of topics– Students must see through the different topics of the syllabus to find the underlying similarity among those topics. This will help students to prepare upon numbers of topics simultaneously. This will in turn shorten the preparation time and enable a student to spend more time in revision and practicing sample papers. Devise different strategies for different subjects – It should be kept in mind of students that similar strategy of study for different subjects will not give desired output. A student should adopt differing strategies for each subject. For example when preparing for Biology and Zoology a student should collect as much information as possible over any topic because questions in these areas of syllabus are informative in nature. Similarly while preparing for Physics student must stress upon clearing his concepts because questions in physics are extremely conceptual. Answer within time limit – In order to perform well in the exam, a student should practice sample papers to answer questions within a stipulated time. There are usually 180 questions asked in the exam for which 180 minutes are allocated. Thus on an average a student should not spent more than one minute over any question in the exam. Get selective – One should try to answer first those areas of question for which a student has prepared well and is confident also. This will enhance his score. Don’t juggle with tough questions – A student should avoid juggling with any typical question and consequently wasting time over it.Some questions are very tough in nature or are very intricate to solve. Such questions are put by CBSE to test student’s time management skill and a student should not fall into the trap. If they are able to solve it in the first go then its fine otherwise they should move to the next question. ALSO READ - How to Fill NEET 2020 Application Form?